Well NCS is a government backed programme which was established in 2011 to help build a more cohesive, mobile and engaged society. By bringing together young people from different backgrounds for a unique shared experience to become better individuals and in turn better citizens. 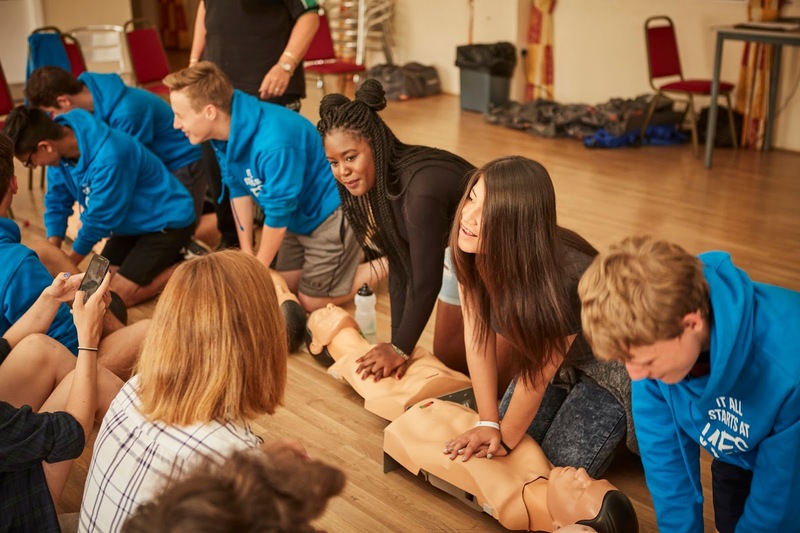 NCS is open to 16 and 17-year-olds across England and Northern Ireland and is a three to four-week programme that takes place during the school holidays. The programme includes outdoor team-building exercises, a residential trip to help learn 'life skills', a community-based social action project and ends with a celebration event. The cost of your teenager taking part in this programme is just £50 which includes food, accommodation and travel costs, with bursaries available on a case by case basis. I think this is amazing value and it sounds like it will be such a worthwhile programme to take part in, as well as looking impressive on those all-important college application forms and CVs. The NCS programme is broken up into four phases, phase one is all about Adventure. For this young people live away from home with a group of 12-15 others at an outdoor activity centre, team-building exercises like rock climbing, zip-wiring, canoeing and archery will be on offer to help develop confidence and take them out of their comfort zones. Like the time I took Chloe on an adventure day to Walltown in Northumberland and she zip wired and rock climbed. It really pushed her boundaries and helped her confidence. The second phase is all about Discovery, staying in a uni-style residential environment it is a chance to learn something new and also develop important life skills for the future. The third phase is Social Action, your teenager will return to their local area and make a difference to their local community. The final phase is celebration, a chance to reward the hard work your teen has achieved by offering them discounts and exclusive access to apprenticeships and volunteering opportunities. 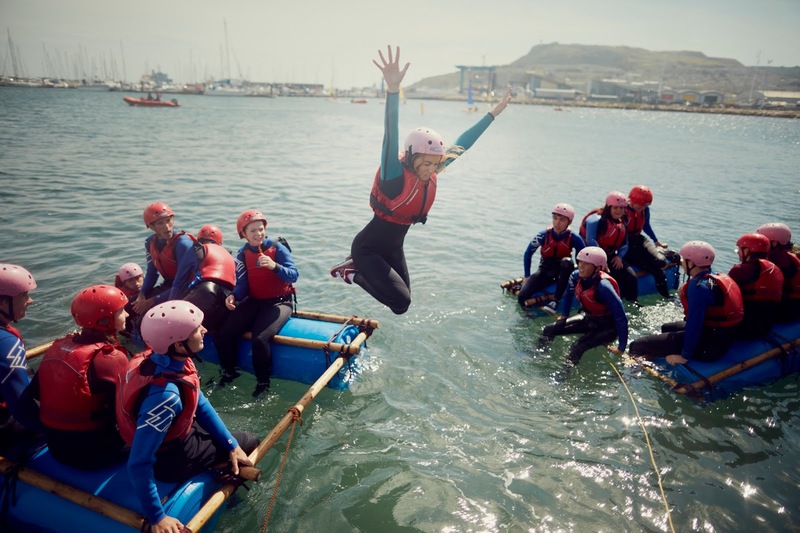 This year more than 100,000 teenagers from different backgrounds will come together on NCS and there are still places available for current year 11 pupils to take part in this once in a lifetime opportunity this summer. To find out more and to sign up now visit the NCS website and even if you already have plans and holidays booked for this summer they will endeavour to get your teen on a programme that fits in with any plans. If you have or know a teen make sure you get them to check NCS out as it is sure to be a once in a lifetime opportunity that would help build foundations for their future. This is a collaborative post with NCS. My best friend was telling me all about this last week as she has signed her step son up for it near us. It sounds absolutely amazing! I couldn't believe how good value it was for what was included. I really hope something like this is still around when my two are old enough as it seems like such a good way to teach valuable life skill and to make some new friends. I love this idea as it sounds like such a great idea for teens to experience as it can be hard for them to find exciting things to do during the summer holidays. Wow this really does sound like an experience of a lifetime - my daughter is a little young for this yet but I will be keeping this in mind for when she is older. I LOVE the NCS Scheme. It's so good for kids of this age and I think really helps to prepare them for adult life. What a great concept! There certainly needs to be more support around this important age - I remember feeling a bit at a loss when I was 16 years old! This looks like such a great scheme for teenagers. My eldest at 14 would love it! That sounds like such a great programme and brilliant value for money. It can be hard for teenagers to know where they want to go in terms of life/college/work and something like this might help them. That sounds like an amazing opportunity! I wonder if we have something similar here in Scotland. My son did this a couple of years ago and LOVED it!! Sounds like a great opportunity. And a fun one too. I LOVE the NCS Programme I would have loved to do this when I was younger, such an amazing opportunity.